During the past two decades, Call2Recycle has worked closely with many municipalities, big and small, to launch and expand battery recycling programs. Based on our 20+ years of experience, we’d like to share with you some of the best practices in promoting North America’s municipal battery recycling programs. While these ideas may seem like common sense, they have proven to help spark life into municipal recycling programs. We invite you to try just one new idea in the next three months and then share with us how it went. Talk It Up! You’ve probably heard this piece of advice too many times to count. Successful programs rely heavily on continuously educating the public – whether residents or businesses, about what batteries can be recycled, where they can be recycled, and why they should be recycled—less waste in the landfills and re-using the recycling byproducts in new products, like, stainless steel and new batteries. The key is to both inform and inspire your community so they just don’t think about recycling, but act on their good intentions. Make it a goal to try one new communication vehicle this quarter. Create or repurpose a newsletter ad onto your website’s recycling page. Launch a short-term contest on Facebook, Twitter or Instagram that asks followers to post pictures of themselves recycling. Turn those photos into a collage to post on your web site and share with your leadership team. Need ideas? Call2Recycle offers a wide variety of posters, ads, press releases, flyers and other items on its website to get you started. Make It Easier. You think your recycling process is as easy as you can make it? Think again. Remember that recycling is directly related to convenience + awareness + action. 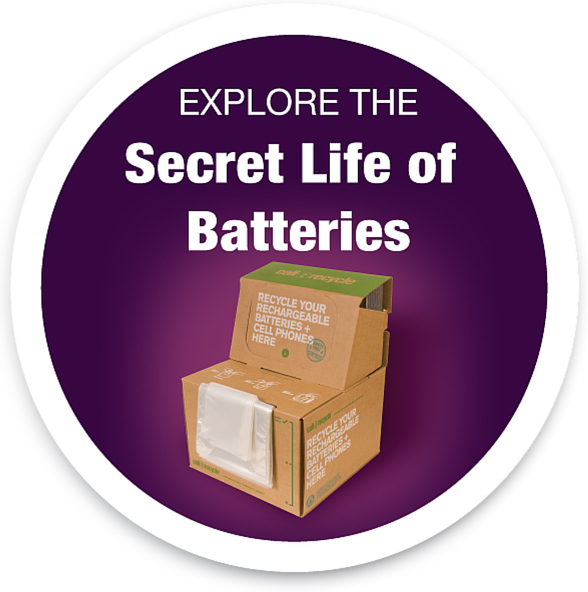 Ask colleagues, neighbors and friends if they recycle their batteries. If they don’t, ask them why and what it would take for them to start. Do they know how to find a drop-off location? Are the locations open at night and on the weekends? Do the locations make sense? (Are people really going to recycle batteries at a warehouse in a low-traffic area?) Do the locations have signage? Although 90% of people live within 10 miles (16.1 km) of a Call2Recycle drop-off location in North America, they may not know about the Call2Recycle easy to use drop-off locator. Ask your local library system to set up Call2Recycle boxes and posters and promote battery recycling as part of a short term campaign between the branches. Send collection day reminders to subscribers if you have curbside pickup. Offer a free collection app that allows residents to use mobile phones to locate drop-off sites and set up collection day reminders. Not in the budget? Share the link to the Call2Recycle drop-off locator. Maximize your results by mailing a bill insert to a group within your city (multi-housing units, businesses) with a high interest in recycling. Come up with a list of social media posts about the benefits of recycling that you can use regularly on Facebook or Twitter. Recycling is fun for kids and keeps the community engaged. Promote battery recycling to elementary children using the Eco-Kids website, which features age-appropriate materials. Consider organizing a one-day community recycling event if you have the budget. Let out your inner diva by appearing on a local radio or TV program to talk about battery recycling. What’s the Point? Don’t let your hard work go to waste. It’s important to set some goals so you know if your hard work is paying off. The city of Austin, Texas, set a goal to reduce by 90% the amount of waste its roughly one million households send to landfills by the year 2040. The city/county of San Francisco has boldly set a target of zero waste to the landfill by 2020 while the city of Burnaby, British Columbia, wants to achieve 70% waste diversion by 2015. They use Call2Recycle-generated reports to help monitor their progress. If you are already participating the Call2Recycle program, you can request regular reports to help you track your battery collections and see just how far you’ve come. No two community recycling programs are the same. What works for one community may not work in another. But we can all agree that most communities would benefit from putting fewer batteries in the trash and seeing the recycled byproducts used to manufacture new batteries. Let us know about what you tried, then tell us how you did by emailing us at communicate@call2recycle.org.